I am currently trying to use a people picker to be able to get user properties and if a group is picked I want to be able to get all the user keys. I can get all the properties I need if I select a user and I have managed to get all the users that are in the SharePoint groups. Now I am trying to get all the users that are in the azure ad groups. Does anyone know if this is possible? 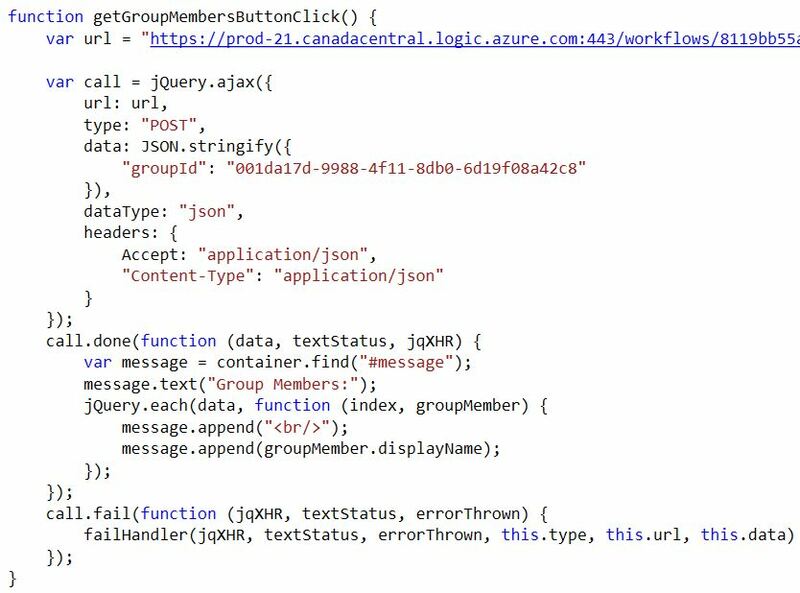 There's no support for Azure AD groups in either the Client Object Model or the SharePoint REST API. Using the Microsoft Graph is a problem because configuring Reply URLs for a SharePoint-hosted App is a real pain. My suggestion is that you use Microsoft Flow. You can create a Flow with a HTTP Request trigger. The Flow then basically becomes a web service. 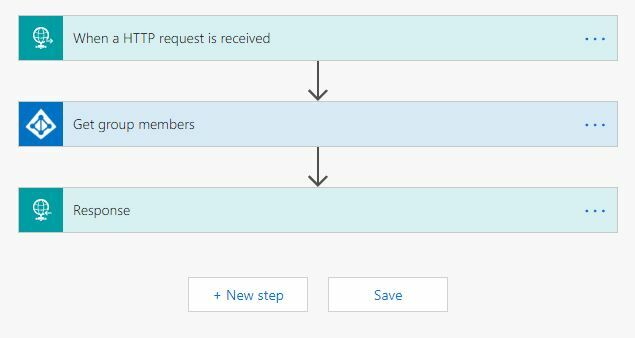 You can then use the Azure AD - Get group members action to get the members from the group. 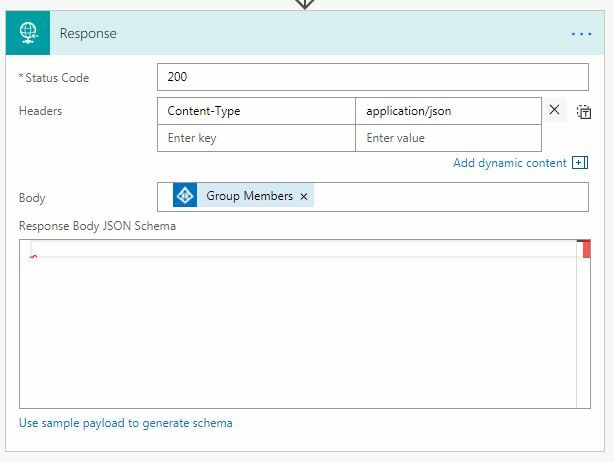 Finally you can use the Response action to return the array of user object returned from the Get group members action. 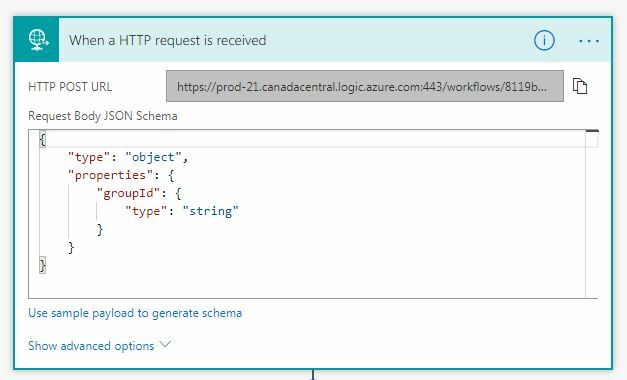 Once the Flow is done you can then call this Flow in pretty much the same way you would call the SharePoint REST API.